Painted Portrait - Girl With Her Dog. A painted photograph. 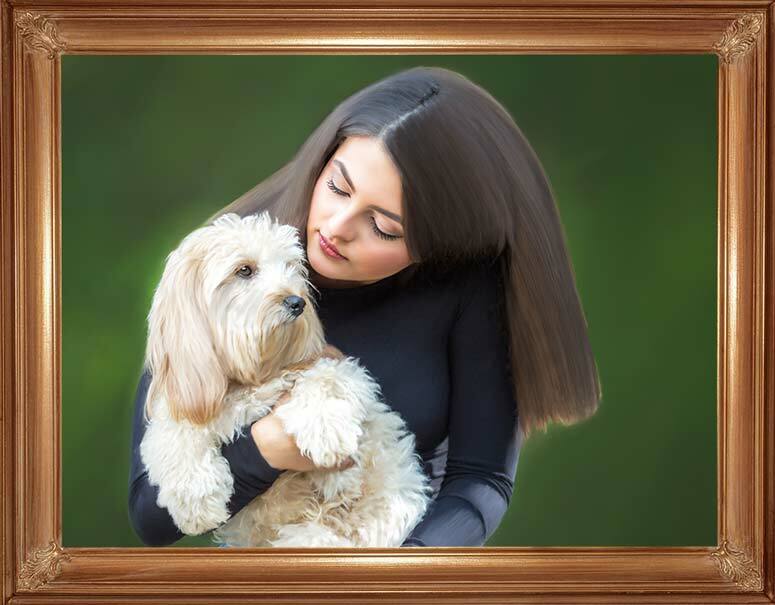 As I continue to paint some of my photography subjects, this image of Maddy & her dog seemed like a perfect fit. The original image had been partly made up of green hedging, and so that color was retained. And of course the doggie expression is as cute as it gets! For more information, visit the Portraits page.